It was a beautiful wedding day to remember. 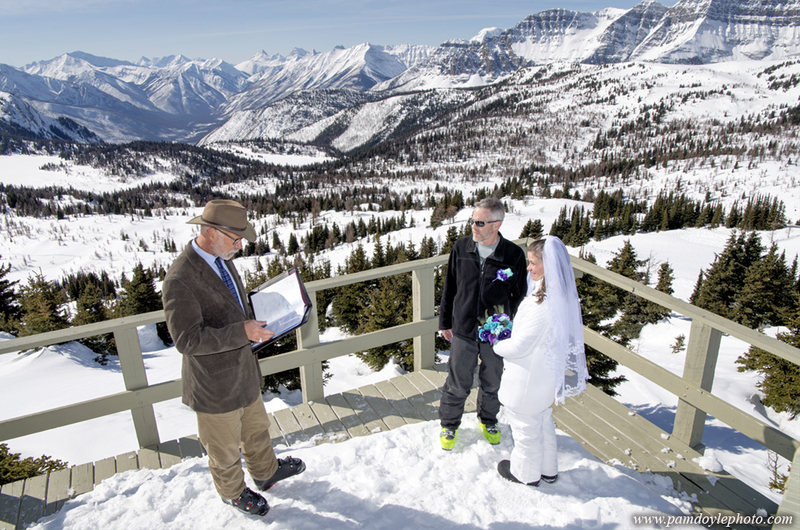 The sun beat down through a clear, cobalt blue sky as the bride wore a white ski outfit and veil and was on a snowboard and the groom was on skis as this lovely couple got married at Sunshine Village Ski Resort in Banff National Park on March 30, 2019. Rev. Klaus Ohlhoff presided over the wedding ceremony at the ski resort overlooking a magnificent panorama of mountains. After the ceremony, we all went skiing and snowboarding together at fabulous Sunshine Village. 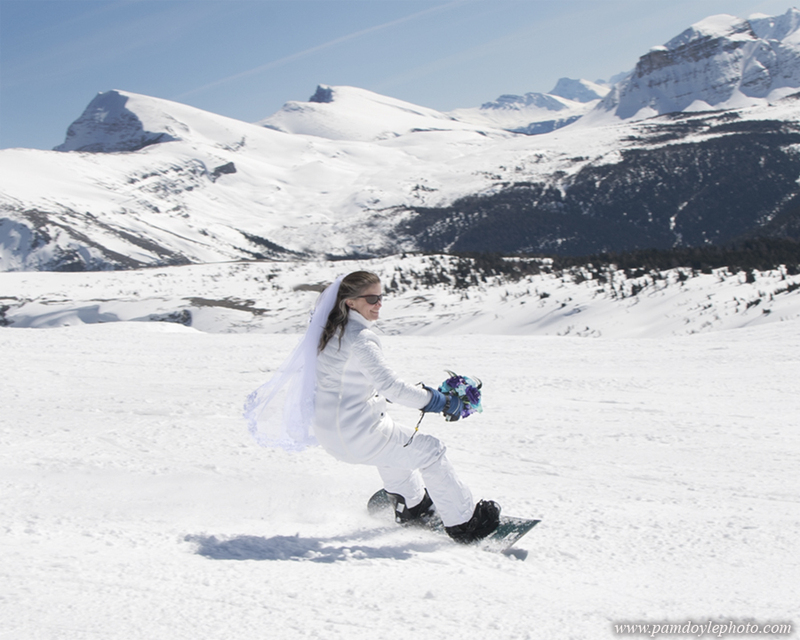 Please contact me at [email protected] to photograph your ski wedding in the Canadian Rockies.